Rising costs. 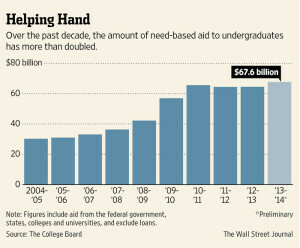 It’s not at all coincidental that the rapid rise in government aid roughly corresponds to the pace of tuition increases. In our efforts to raise the affordability of college among the needy we have largely priced out those who don’t qualify as such. This largely explains the booming debt loads among students from middle and upper class backgrounds. Behavior modification. Such systems create incentives to act in certain ways. While we may bemoan the societal consequences of such social engineering, it does become increasingly beneficial to the individual to understand financial aid systems/programs and to consider positioning oneself accordingly. As to the second point, for better or for worse the financial aid system encourages certain behaviors and discourages others. Ms. Andriotis’ article gives some tips for getting things in a certain order prior to the filing of the FAFSA, ground we’ve also already covered in this blog. Families and students should do everything within their power and within ethical boundaries to ensure they’re not unduly punished, i.e. for having their savings in the “wrong” type of account instead of another. 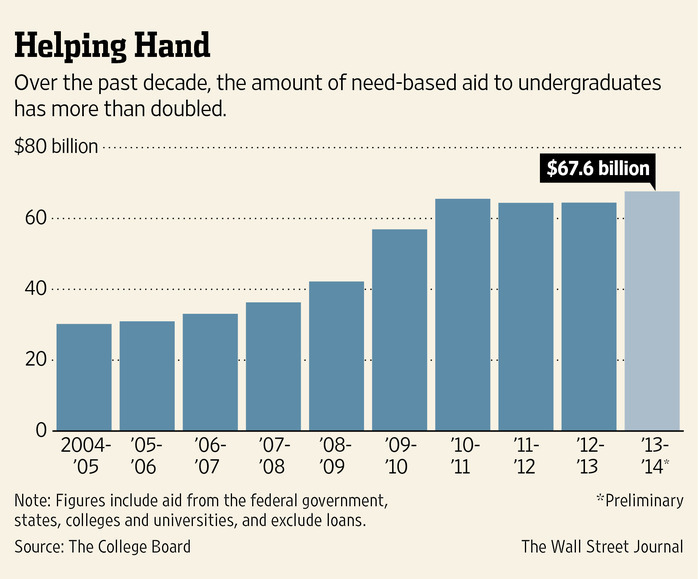 At some time it becomes too late to make the sort of changes that would affect financial aid calculations. Then students need to be aware of filing deadlines and information reporting tips that can impact financial aid success. Even the most needy students, the ones whose situation is the most award-worthy, can forego thousands of dollars by filing late and filling in the blanks wrongly. We’ve covered this in more detail here.